Always something about to happen. Check back regularly. Join us for the release of 1990bling’s (Josh Helbling) first FOUNTAINavm release, “The Jewelist” on April 28th, 2019 at Este Pizza Co. 2148 South 900 East SLC, UT from 5pm-7pm. Cop a cassette tape and a slice. See you there! 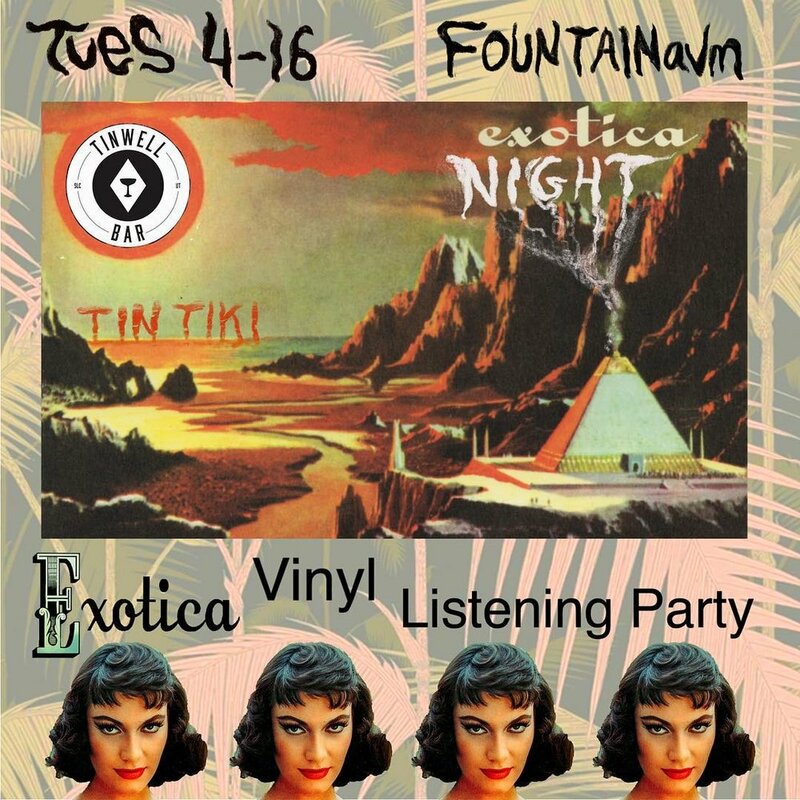 This Tuesday, Tomorrow 9pm at @tinwellbar upstairs at @tintikislc — FOUNTAINavm presents an EXOTICA all vinyl listening session. Some of the most adventurous record collectors will be sharing their tropical record artifacts from all over the dangerous exotic world. Tiki Bar Captain Stuart will be taking care of the Beverages for the evening. Mark your calendars for the next @criticalbeatdown801 show. The moon will be full at @goodgrammarbar On April 4, Thursday Night at 9pm.. A stacked line-up of musicians coming through to play some of their new works for you. @ckg_007 with his new “Prom Ride” beat Tape, @actuallybobo has new music from her soon to be released project. The elusive @whoisdavidmoon will make a rare appearance with something special I’m sure. Closing the night out with @mooninite__ , the versatileelectronic champion with some new music and thangs he’s been cooking up. Be there, and invite some fellow music lovers to roll too. 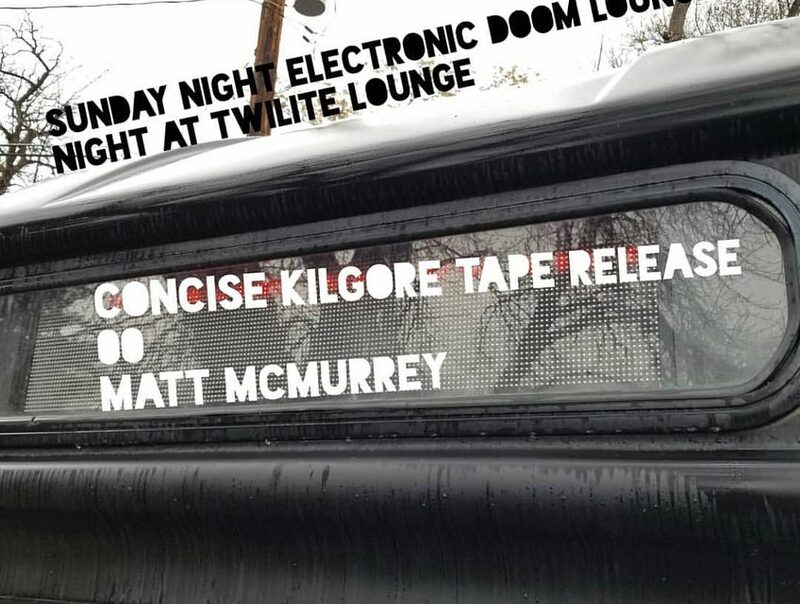 Tonight at Twilite Lounge, the second release party and performance for “PROM RIDE” by @ckg_007 Concise Kilgore. A performance of the album and a chance to cop a Tape, or a TEE Pack (supply is low now). Of course the incredible @davidpayneful and @electronluv will be playing , and also Matt McMurray and his incredible synthesizers. This Thursday, clear your evening and come thru @goodgrammarbar .. it’s an incredible line-up from various music meddlers and wave manglers. First performance at 9:30pm with Adam Michael Terry, followed by @kotolopo( @duriandurianslc fame), @bluehands801, and @braindetergent to get us in hyper speed... last hour is TBD... bonus outside will be @thegofha mobile arcaded gallery, for further stimulation of the meta-senses. New merch for sale too for music fans. 📡📡📡@fountainavm functions. We are excited to announce the release/ listening party for Concise Kilgore’s ( @ckg_007 ) “PROM RIDE” album. Attendees will get the chance to create their own memorabilia with a T-shirt decoration station and live screen-printing. 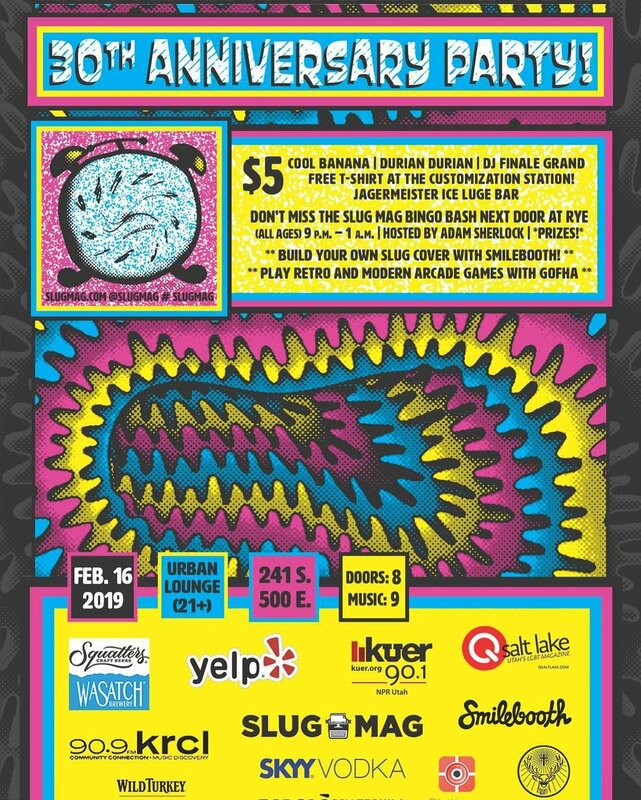 Rye Diner & Drinks will feature SLUG Bingo Hosted by Adam Sherlock and a build-your-own SLUG cover station provided by Smilebooth. Critical Beatdown veteran @_heather.grey hosts a sick line-up and will performing. This 2-year anniversary show is going to be off the hook so don't miss it! 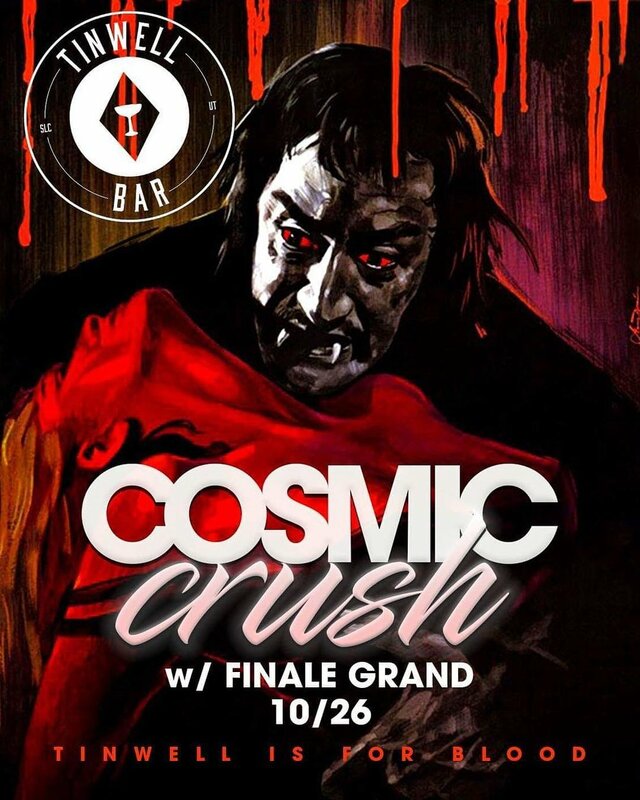 Giving Thanks To The Creators This Fri w/ @bodyroc_slc & @finalegrand at the Superfly Homebase @tinwellbar ...930p. Critical Beatdown comes to @ficegallery"A Night for the Heads" . Come thru and vibe with some of the illest producers / beatmakers / musicians around. Live sets from: @thatboybijuu @norbzz_ @_nickyva_@fischloops @_heather.grey and myself. 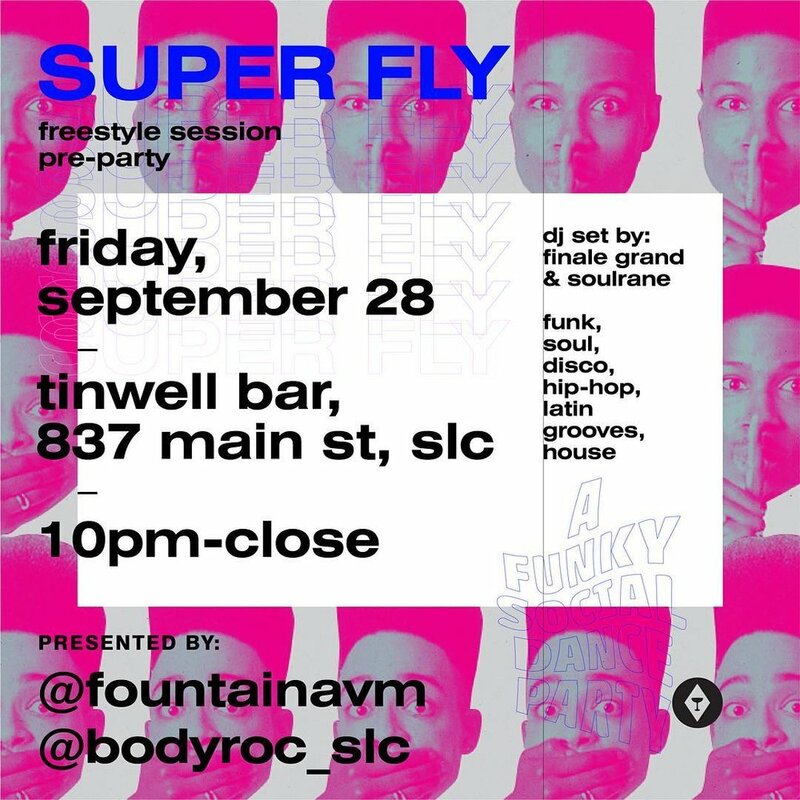 The SUPERFLY funky social dance party is back this Friday. We are throwing a pre party for 'FREESTYLE SESSION' the legendary national B-Boy event. Dancers of all creeds and styles will be coming thru and gettin down. Latin, Soul, Disco, House, HipHop and more. Celebrating music created by the LADIES, all night long. 9pm 8-31-18. UPDATE: Unfortunately UTA Trax will not be able to make it. Finale Grand, Flash & Flare, Concise Kilgore and Bo York playing to Jump off the season. Open invitation to producers and beat makers to play live for Critical Beatdown on June 8th. 20 min max. Come show us what you're about. 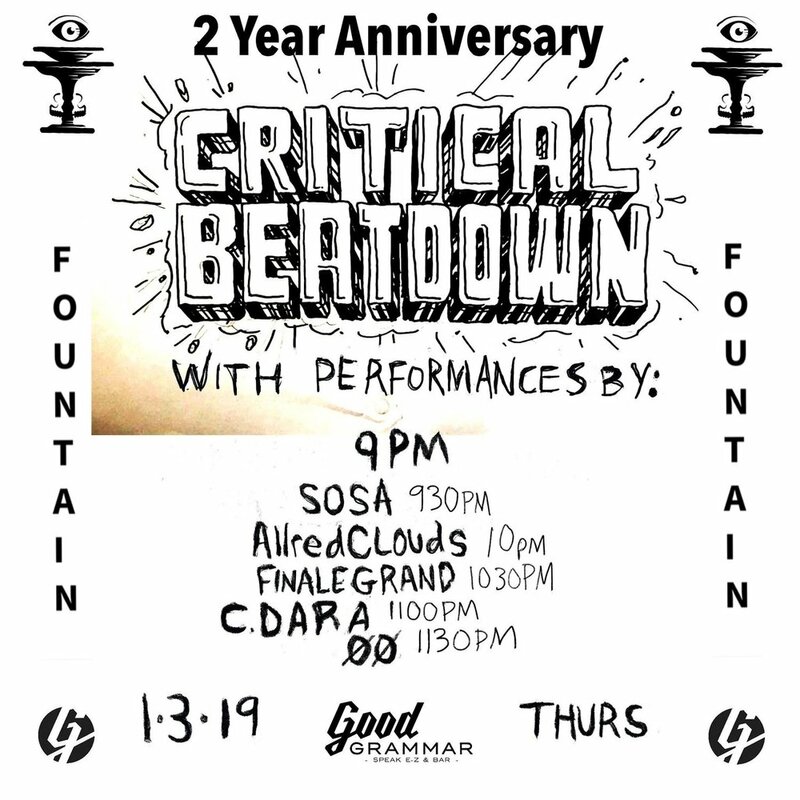 The third installment of Critical Beatdown features a diverse lineup of beat smiths! Monthly event featuring producers playing live beats. We don’t sell or give away your information ever.